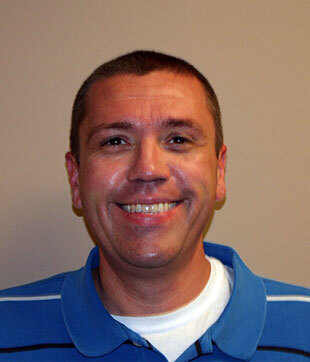 Daniel S. Martin has been practicing orthodontics since 2003. He received his Doctorate of Dental Surgery from Indiana University School of Dentistry, where he graduated in the top ten percent of his class. While in college, he was also selected to be a member of Omicron Kappa Epsilon, the national dental honor society. Dr. Martin completed his Master of Science in Dentistry and specialty training in orthodontics and dentofacial orthopedics from Indiana University School of Dentistry in 2003. To stay up to date with the latest advances in orthodontics, Dr. Martin holds memberships in many prestigious professional organizations, including the American Association of Orthodontists and the Indiana Dental Association. He also participates in training with SPEAR Education and the Invisalign Master Program. Originally from Greenfield, Dr. Martin currently resides in Columbus. He and his wife Carrie have a son, Alex, and daughters Emily, Elizabeth, and Abby. The family is complete with dogs Goldie and Max, and cats Snowball and Whiskers. When he’s not working in his yard, you will find Dr. Martin at Indiana University basketball games or Indianapolis Colts football games. He enjoys traveling with his family, especially on their annual ski trips to Colorado and Michigan during the winter. They also enjoy the beaches during summer vacations.